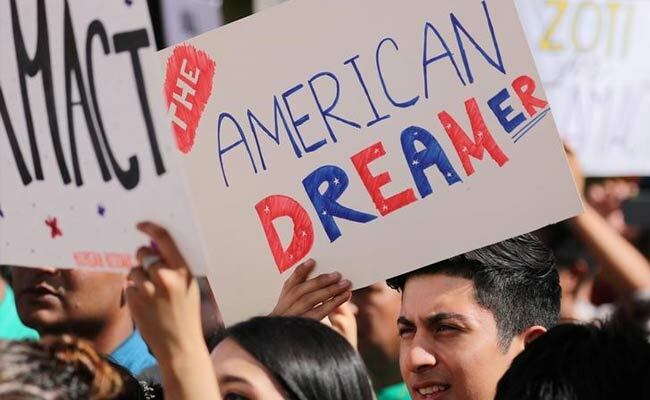 The speech -- expected to touch on the divisive issue of immigration -- comes as some 700,000 immigrants brought to the United States illegally as children, the so-called "Dreamers," risk losing their protected status while the White House and Congress struggle to reach a deal on their fate. Washington: Dozens of immigrants in legal limbo -- including a young teacher named America -- will have front row seats for President Donald Trump's State of the Union address Tuesday, getting a close-up look at US history despite their own precarious status. Trump's primetime address will be delivered in the hallowed House of Representatives chamber, where immigrants from Chile, Guatemala, Mexico and South Korea will join US lawmakers, top administration and military officials, Supreme Court justices and foreign ambassadors. Not if congressman Paul Gosar has a say in it. The Republican from Arizona contacted US Capitol Police and Attorney General Jeff Sessions urging them to check identifications of those at the speech and arrest "any illegal aliens." The move infuriated Democratic lawmakers. Instead she hoped Trump would soothe the concerns of so many immigrants who will be watching.